WTCC fans, join us in our tribute to those really cool drivers of the World Touring Car Championship who jump in the sports coupe every weekend and drive like maniacs around some of the most historic circuits in the world. This contest will be very informal. It will run through the end of the season, which is the Race of Qatar on November 22. The rules are simple enough. Using any gaming platform that allows customization of cars, do a tributej car for your favorite driver, manufacturer, or team. Details don't matter. I am a poor, depraved rr3 guy because I don't have the patience to sit down in front of a console or pc long enough to play a real game. 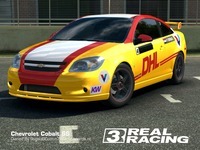 Rr3 doesn't feature the Chevy Cruze driven by we here at n7thGear's favorite drivers, ROAL Motorsports Tom Coronel and Tom Chilton, so I just did the best I could with the Cobalt and rr3's embarrassing set of tools. I'm sure you Forza types can do a photorealistic replica if you want. I expect big TINGS from our iRacing users. If you are a non gamer, it is perfectly acceptable to draw a picture of your favorite car. Pen and ink, crayons, it doesn't matter. We are just wanting to give the WTCC some love. When all entries are in, or the contest closes, or just whenever we decide to, we'll put up a poll to pick the winner. (But really, it will end November 22). Ties will be decided by n7thGear team. As with all n7thGear competitions, there will be gear awarded. It will be cool. We just don't know what it will be yet. But it will be cool. We will post up pics of it when we decide. We would also love to hear what YOU think is cool. We might hook you up if you sound off. 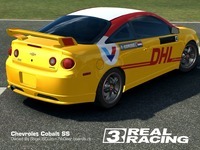 I will get us started with my silly rr3 car and we are really looking forward to your participation. The current WTCC roster is posted below for reference. And above all, enjoy the WTCC season! please join in the contest it's fun! use any art medium you have ! Support these wonderful guys and the WTCC! Enjoy this funny video of the coolest dudes in WTCC!